Is there a better alternative to Froggster Widget? Is Froggster Widget really the best app in System category? Will Froggster Widget work good on macOS 10.13.4? Play the classic arcade game of hopping your way to safety right on your dashboard! Help Froggster get to the bases, all the while avoiding cars, trucks, piranhas, alligators, and more! We've added some wacky obstacles and features to make this classic game all-new and more addicting than ever! Add some fun to your Dashboard with Froggster Widget. 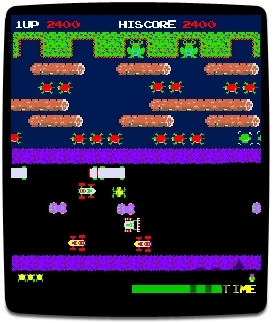 The Froggster Widget was built in collaboration with the great folks at Robotube Games. Froggster Widget needs a rating. Be the first to rate this app and get the discussion started!